Chapter XLIX: Conquest Of Italy By The Franks.—Part I. 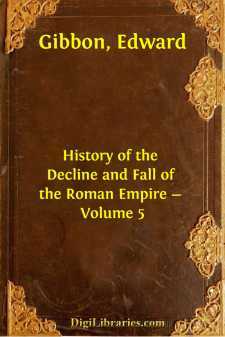 Introduction, Worship, And Persecution Of Images.—Revolt OfItaly And Rome.—Temporal Dominion Of The Popes.—ConquestOf Italy By The Franks.—Establishment Of Images.—CharacterAnd Coronation Of Charlemagne.—Restoration And Decay Of TheRoman Empire In The West.—Independence Of Italy.—Constitution Of The Germanic Body. In the connection of the church and state, I have considered the former as subservient only, and relative, to the latter; a salutary maxim, if in fact, as well as in narrative, it had ever been held sacred. The Oriental philosophy of the Gnostics, the dark abyss of predestination and grace, and the strange transformation of the Eucharist from the sign to the substance of Christ's body, I have purposely abandoned to the curiosity of speculative divines. But I have reviewed, with diligence and pleasure, the objects of ecclesiastical history, by which the decline and fall of the Roman empire were materially affected, the propagation of Christianity, the constitution of the Catholic church, the ruin of Paganism, and the sects that arose from the mysterious controversies concerning the Trinity and incarnation. At the head of this class, we may justly rank the worship of images, so fiercely disputed in the eighth and ninth centuries; since a question of popular superstition produced the revolt of Italy, the temporal power of the popes, and the restoration of the Roman empire in the West.